Another China Shaggy Dog Story ? 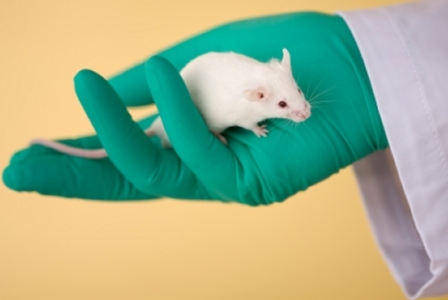 Under a lot of pressure of many animal right organizations outside and inside China, finally a controversial animal test requirement is PARTLY being removed. Of course we hope this signals an end to a practice of senseless brutal animal cruelty widely fought against elsewhere in the world. The Chinese FDA stops requiring animal tests on shampoos and skin-care products and let manufacturers who still want to do testing look for alternative methods using data on ingredient toxicology or tissue culture to conduct risk assessments…. Well this is exactly what we at Paul Penders Company do not get. Why not use time-tested ingredients and willing PEOPLE to test these ingredients? Would that not give results that are most direct and by any means is a more humane system? Also my question here is: Why brutally using an animal for skincare tests for people? Is a rabbit skin the same as human skin? Because the new rule does not apply to imported cosmetic products! It means that Paul Penders products still cannot export his products to China. However counterfeit Paul Penders products are illegal made in China, and we are not any part of it ! A China cosmetics company produces “Paul Penders” products and our lawyers work hard on that terrible situation. In that respect is China still a “wild-west” country because China now protects the counterfeit products while our own products – that are legally trademarked by myself in China! – cannot be sold there. Why? They cannot be imported because of the same continuing animal testing policy!! Isn’t that hypocrisy of the first order? What to expect from a country that not only allows but also support these kind of practices, and let it flourish as well? Following the 2012 regulatory change, some foreign companies, like Avon and Estée Lauder and few more loosened their no-animal testing policy in order to continue to sell in China. They said they were ‘simply pay attention’ to a foreign law by paying for animal tests on their products in a government-mandated laboratory in China. Critics assailed these companies practices. To me an improvement, China is a long way from ending animal tests. You can change a policy but whether the day-to-day animal testing practice is going to change is unsure. China is a big country and sadly I do not expect China to stop animal testing any time soon like they did in Europe. However here is the REAL good news! More and more people in China start to educate themselves through the internet and call on the Chinese FDA to stop this senseless brutality. Over the years animal tests for cosmetics has still not proven to give the right answers… why? A rabbit skin is not a human skin… please China…. could you get it?